WALTHAM, MA—Three heathcare facilities experts and a physician underlined the importance of speed, cost, technology, flexibility and yes, even malls as a great choice for medical offices and facilities. 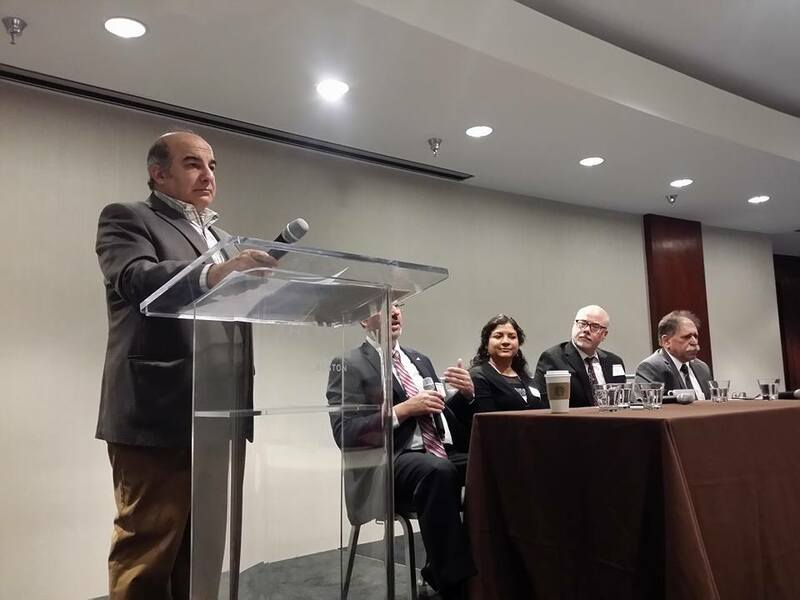 The 9th Annual Health Care & Medical Facilities Summit was organized by the Boston Real Estate Times, New England’s largest online, video and print magazine with over 13,000 subscribers. The event was moderated by Jeff Krasner, former reporter of Wall Street Journal, Boston Globe and Boston Herald, and founder and president of Watertown, MA-based Emerging BioCommunications. Paul Pezone, a 40-year veteran of the healthcare industry and Vice President of Facilities and Support Services at Cheshire Medical Center/Dartmouth-Hitchcock Keene, said that the need for new programs or current programs leaving the traditional “medical campus” for more convenient locations closer to neighborhoods and shopping centers is growing. “I’m doing a lot of work on locating support centers for both opioid crisis management and for Behavior Health Centers,” said Mr. Pezone. Other speakers at the summit included Joe Sziabowski, an architect with a special focus in the design of ambulatory healthcare facilities across the country and president of Hardaway|Sziabowski Architects; Dr. Saraswathi Muppana, an internal medicine physician and president of the Indian American Association of New England; and Scott LeClair, a Principal at Fitzemeyer & Tocci, a full-service MEP firm specializing in Healthcare, Higher Education and Commissioning. Mr. LeClair said that “fast and furious” is the name of the game in today’s health care facilities industry. He said recently he worked on a 100,000 square feet project that took just one year to complete, from thought to actual opening. “Delivering of projects have become a big team-based approach,” said Mr. LeClair, adding that health facilities design is driven by the need, technology advancement and regulatory changes. He said gone are the days when a lot of time will be spent on planning and design. Now, all build teams are linked together from day one. “The overall state of healthcare design and construction is strong and dynamic. In particular, our clients are making rapid decisions with regard to new projects/services and looking for quick implementation,” said Mr. LeClair. He said the consulting engineering industry in the Boston area is very busy and challenged by the availability of staff, particularly staff that have strong healthcare experience. Mr. Sziabowski, an architect with a special focus in the design of ambulatory healthcare facilities across the country, said that he sees continued growth in outpatient facilities, locating more varied services in communities, and new modes of delivery. “Many new ambulatory healthcare facilities are located in existing buildings. Site selection is of critical importance as not all buildings are designed to accommodate the layout, headroom, floor loading, utility requirements, etc., of these facilities,” said Mr. Sziabowski. Dr. Muppana said that physician burnout is going to be a big issue and any facilities proposals to hospital should include ways to address the physician burnout issue from a space point of view. “Health care industry is shifting a lot. The push for us is to keep the cost down,” said Dr. Muppana.